Tot spends a lot of time using BookFace, a social networking site wherein he has high hopes of finding the girl of his dreams. This is where he becomes friends with Paula, a girl from Bangkok vacationing in the Philippines. Unknown to Tot though that it is not actually Paula who he is socializing with but her ugly cousin played by Manilyn Reynes. They agree to meet up in person but the catch is Tot used SamsonâEUR(TM)s profile picture. Samson agrees to go with Tot to meet Paula but Samson becomes attracted to her that he does not want to reveal the truth. Things get complicated when Tot uses magic that makes him and Samson switch bodies three hours a day from 6PM to 9PM. 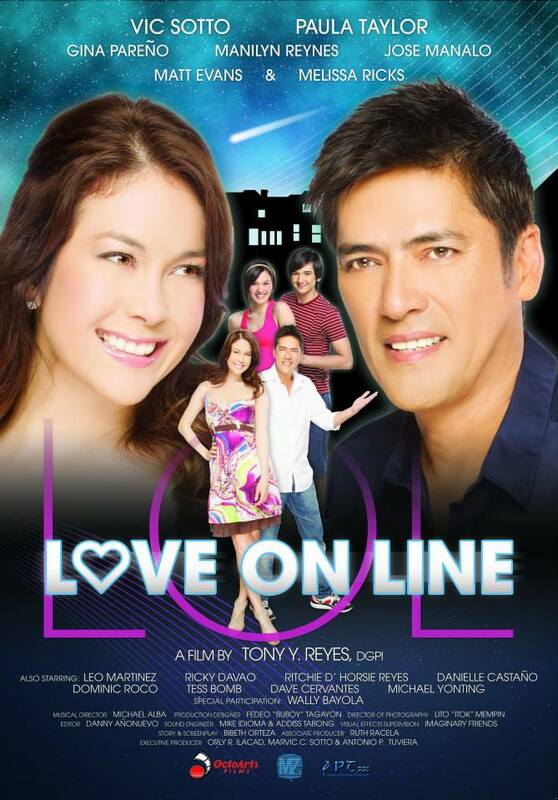 Love on Line (LOL) is a 2009 Filipino comedy film produced by OctoArts Films and M-Zet Productions, directed by Tony Y. Reyes.